I wrote recently about a question that seems to come up lately in conversations about real estate — Are we experiencing a Market Shift? Are we approaching one? In that post I explored some different metrics than I typically monitor in my market dashboard, but now it’s time for my more usual review. 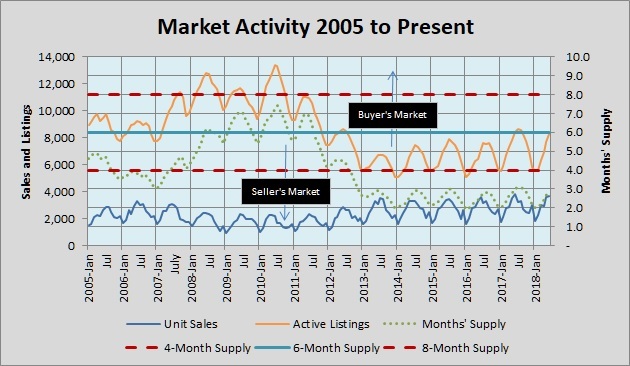 Inventory did rise to 3.0-3.1 for four months in 2017, but this unprecedented market environment continues this summer. Unit sales in June 2018 dipped slightly lower than June 2017. That has happened a number of times during the past five years, but this was the first year-over-year drop in sales since late 2016. Notice the off-season spike above 50% in December 2017. For now let’s just consider that an anomaly, but it is interesting. 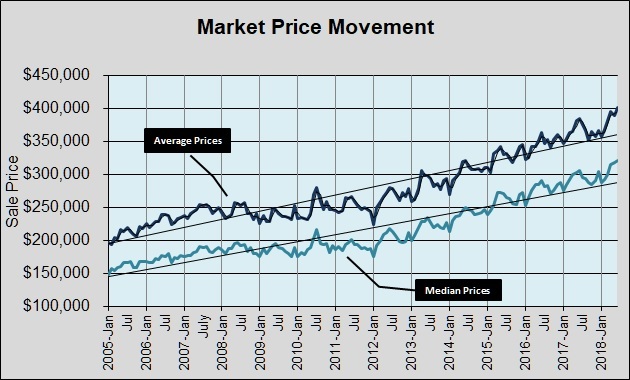 Monthly prices have been consistently exceeding (and lifting) the long-term trend for all of 2 1/2 years now. 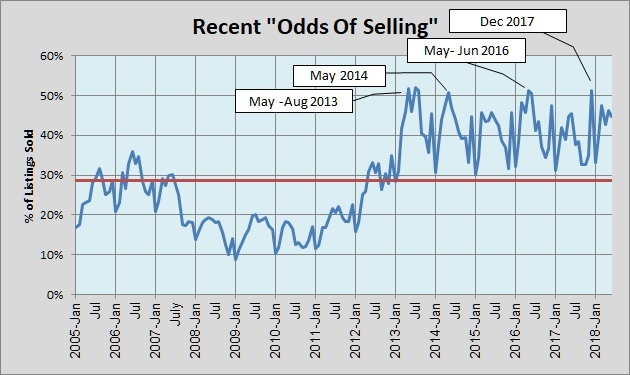 If there is risk in our market that may be it, but if buyers begin to resist then sellers will adjust. Our very long market boom has been and remains driven by job creation and resulting population growth, but a functioning market will balance itself over time. As I noted in my earlier post, Days On Market have generally trended upward over the past several years. Market velocity remains high, however, so calling a market slowdown now would be premature. We still have intermittent threats of rising mortgage interest rates, some international economic uncertainties, and a domestic election season to get through, so much could happen between now and next year. For now “steady as she goes” is my call.